Treatment plans vary depending on the allergy, but they usually involve medication, managing the environment to remove the allergen, or both. Not every dog will need all these measures, so talk with your vet once you know what your dog is allergic to. Antihistamines, steroids, and other medications may relieve itching. Steroids aren’t a long-term solution, however, since they can cause serious health problems. Antihistamines are safer, although they may make your dog drowsy. Immunotherapy may make your dog less allergic, although it doesn’t work for food allergies (see below). Air filters cut down on airborne allergens, and air conditioning makes it harder for allergy culprits like mold to grow. Essential fatty acids supplements help relieve symptoms in some dogs. For dust mite allergies, wash the dog’s bed (even if it’s your bedspread) in hot water every other week or even weekly. If he’s allowed on furniture, put down a towel or blanket on furniture that you can wash in hot water. Avoid going outside in the early morning and late afternoon, when pollen levels are at their peak. 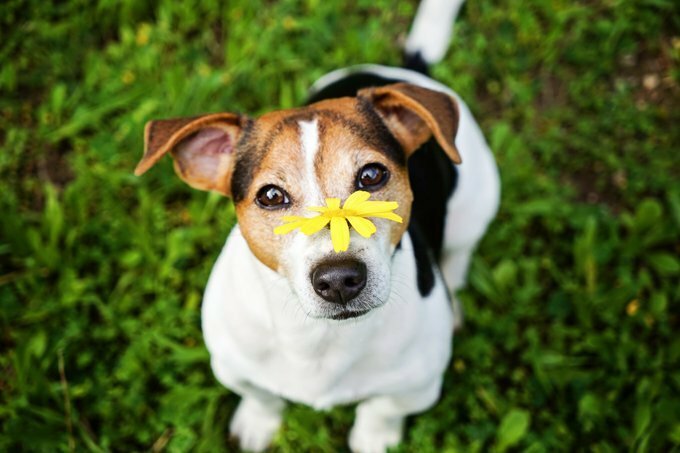 After walks, wipe your dog down with moist towelettes to remove pollen. To keep an allergic dog’s sensitive skin from drying out after bathtime, bathe with hypoallergenic dog shampoos and crème rinse only, and rinse with water thoroughly. Follow a strict flea control program. Fill dog beds with cedar to discourage fleas from taking up residence. Don’t leave with your dog in a humid part of the house, such as the basement, laundry room, or bathroom. You’re in for management control for the life of your dog. Even if your dog is taking medication or getting allergy shots, chances are you’ll still need to minimize his exposure to whatever he’s allergic to. The good news is, it’s much easier once you’ve figured out what’s triggering the allergy.